Craig Breen was named Driver of the Year today at the Dunlop Motorsport Ireland Champions of Irish Motorsport Awards in Dublin. 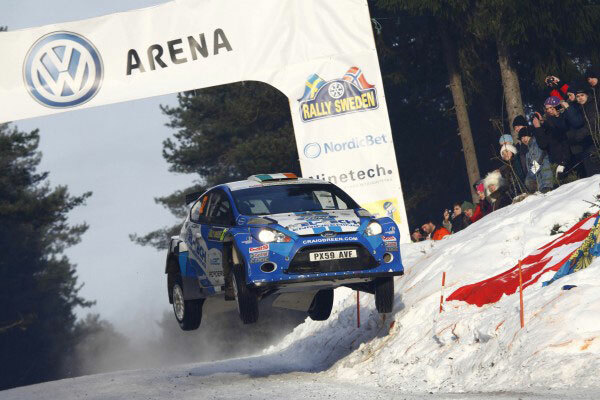 Breen secured his second successive world title last month when he won the S2000 category of the World Rally Championship following his victory in the WRC Academy in 2011. “In the aftermath of the accident it took some time to decide on my next step but after making the decision to continue, I knew it was the correct one. I love every minute of what I do and it’s times like this that I can look back on in years to come. The second half of the season has been difficult at times but to come back and win three rounds out of four in the SWRC has been very rewarding. I want to again thank everyone who supported me, it would not have been possible without you,” Breen said. The Billy Coleman award for the Young Rally Driver of the Year went to Monaghan’s Daniel McKenna ahead of runners up Dean Raftery and Stephen Wright. McKenna is one of Ireland’s best young drivers and was a runner up himself in the award last year. This year McKenna put in some excellent performances which included victories at the Monaghan Stages Rally and Midland Moto Rally during the season. McKenna will now receive €50,000 worth of support for the 2013 season where he hopes to compete in the British Rally Championship. The Dunlop Sexton Trophy for the Young Racing Driver of the Year was awarded to Kevin O’Hara ahead of runners up Stephen Daly and Jake Byrne. The Kildare driver excelled this year in his Formula Vee car becoming the first driver to break the 1min lap time in a Formula Vee car at Mondello Park. 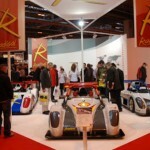 The 22-year-old also went on to take the LeinsterTrophy for 2012 in the Vee race at Mondello Park. 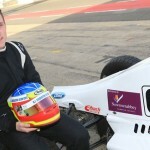 He will now go on to compete in the Formula Ford 1600 series in 2013 in the newly commissioned Motorsport Ireland Formula Ford car, with support from Dunlop and the Irish Sports Council. Irish National Rally champion Brian O’Mahony was awarded the Vard Memorial Trophy along with co-driver John Higgins, who received the Noel Smith Memorial trophy, for their Dunlop National Rally Championship victory. EndaSherry was also in attendance to receive his and Darren Gass’ award as the Tarmac Rally Champions from this year. The Ivan Webb Memorial award for Most Outstanding Contribution to Irish Motorsport went to Eoin Longworth from Birr and District Motor Club who has been an integral part of the Irish motorsport community for the past 20 years. The JC Millard Memorial Award for Clubman of the Year went to Paul Kiely from the Connacht Motor Club for his contribution both on and off the roads as a competitor winning several national rally titles and an organiser who is integral to the Sligo Stages Rally and inputs nationally to the Dunlop Rally Championship.